The autoinflammatory diseases comprise a broad spectrum of disorders characterized by unchecked activation of the innate immune system. Whereas aberrations in adaptive immunity have long been identified in ‘autoimmune’ disorders, the concept of ‘autoinflammation’ emerged relatively recently, first describing a group of clinical disorders characterized by spontaneous episodes of systemic inflammation without manifestations typical of autoimmune disorders. Improved knowledge of innate immune mechanisms, coupled with remarkable progress in genomics and an expanding number of clinical cases, has since led to an increasing number of disorders classified as autoinflammatory or containing an autoinflammatory component. Biologic therapies targeting specific components of the innate immune system have provided immense clinical benefit, and have further elucidated the role of innate immunity in autoinflammatory disorders. This article reviews the basic mechanisms of autoinflammation, followed by an update on the pathophysiology and treatment of the monogenic and multifactorial autoinflammatory diseases, and the common dermatologic conditions in which autoinflammation plays a major role. Annika Havnaer and George Han declare no conflicts of interest. FDA. US anakinra label. 2018. https://www.accessdata.fda.gov/drugsatfda_docs/label/2018/103950s5182lbl.pdf. FDA. US rilonacept label. In: FDA, editor. 2008. https://www.accessdata.fda.gov/drugsatfda_docs/label/2008/125249lbl.pdf. FDA. US canakinumab label. In: FDA, editor. 2016. https://www.accessdata.fda.gov/drugsatfda_docs/label/2016/125319s088lbl.pdf. Infevers. Infevers: an online database for autoinflammatory mutations. 2018. https://infevers.umai-montpellier.fr/web/. Accessed 9 Nov 2018. Autoinflammatory Alliance. Muckle-Wells syndrome (MWS). 2017. http://autoinflammatory.org/mw.php. Accessed 30 Oct 2018. ClinicalTrials.gov. Identifier NCT03311464. 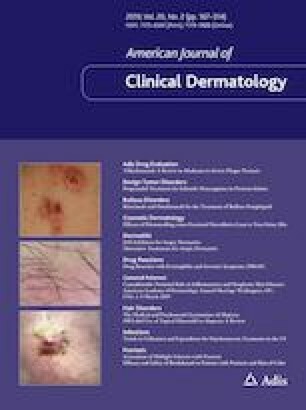 A phase 3 multicenter, open-label, single arm study of the efficacy and safety of adalimumab in active ulcer(s) of pyoderma gangrenosum in subjects in Japan.https://clinicaltrials.gov/ct2/show/NCT03311464.. Accessed 10 Dec 2018. Xoma. XOMA announces encouraging interim results from gevokizumab phase 2 study for moderate to severe acne vulgaris. 2013. http://investors.xoma.com/news-releases/news-release-details/xoma-announces-encouraging-interim-results-gevokizumab-phase-2. Accessed 11 Apr 2019.